I haven't posted about my ivies for some time, with good reason. I've downsized my collection considerably. I've found it impossible to keep spider mites at bay if I have to monitor more than five or six Hedera helix plants, so that's what I have now. Finding spider mites on a nearby Hoya, of all things, was the last straw. Hedera helix 'Minty,' also known as Hedera helix 'Mint Kolibri.' This is one of the plants that I lost, and one of the few I will replace if/when I come across another one. This photo is a little less macro than most, since it is not all that large when opened to full size. 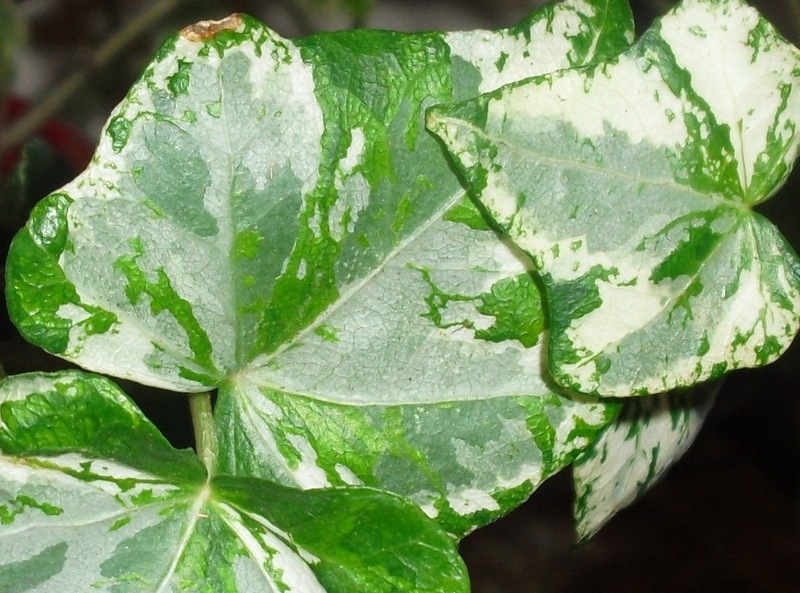 But doing so (two clicks) will reveal the beautiful pattern of the leaves. I'll have to get rid of most of my collection, too - moving to a new apartment without suitable windows. This is one of the varieties I really like, too... hard to decide if I'll keep it, and try to keep it alive.